NAWBO-SA was present at Small Business Day at the Capitol, Governor Abbott was the keynote speaker and gave a very moving address regarding the growth of the Texas economy and the important role Small Business Owners play in it. 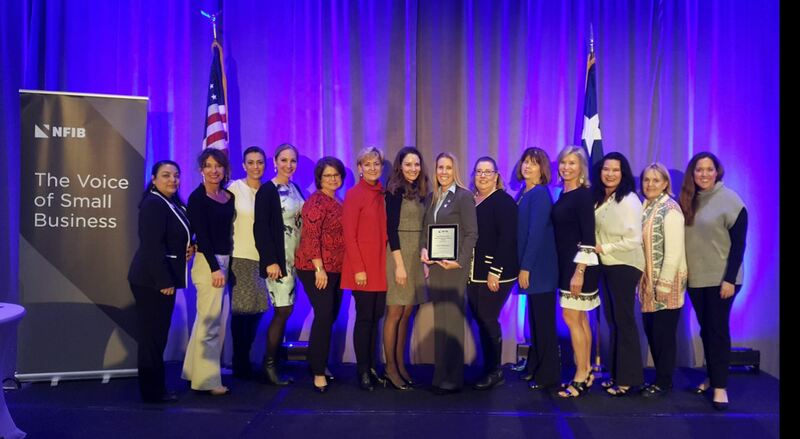 Lisa Fullerton, who is NAWBO-SA's Co-Director of Public Policy, president and CEO of A Novel Idea LLC., owner of five Auntie Anne’s and two Cinnabon franchises in San Antonio, has been received the Ken Legler Small Business Champion Award from the Texas office of NFIB, the nation’s leading small business advocacy organization. Read more here. The member of NAWBO-SA met with a few legislators and left behind a White Paper explaining the issues that are of most concern to us as Women Business Owners. Read the White Paper here.